The Professor was trying to discovered how to give people animal Dna so they can have powers. The Professor ask some hunters to get a crocodile in a tropical rainforest. A few days later one of the hunters twisted his leg, Joel was one of the hunters, He said it was difficult to catch the crocodile. The professors assistant Johnny was the tester. In a flash Kyle turned purple and he got sharp long teeth. It worked but his skin colour changed, It went on the news and other people wanted to try it out. He did another person and he took a bird and gave it’s Dna to his friend. It didn’t work and he melted . I like your story,it was really interesting and exciting and I hope you write more. We really enjoyed your story because we really like animals and it was very funny. Oh dear Collins! That poor second person who melted! What an interesting – and horrifying – thing to do, to mix animal and human DNA. I hope that this never happens in real life! Another great story, well done. And well done on your Showcase story last week too! 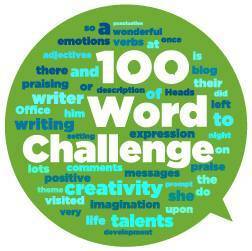 Hi Collins, thank you for sharing your 100WC entry with us this week. Judging by your writing, I think that you have a very vivid imagination! Your story idea is quite interesting – very ‘science fiction’. I think if I were to be given animal DNA, I would probably choose a Galapagos tortoise because they are vegetarian, live for a long time and are harmless! What animal would you choose?